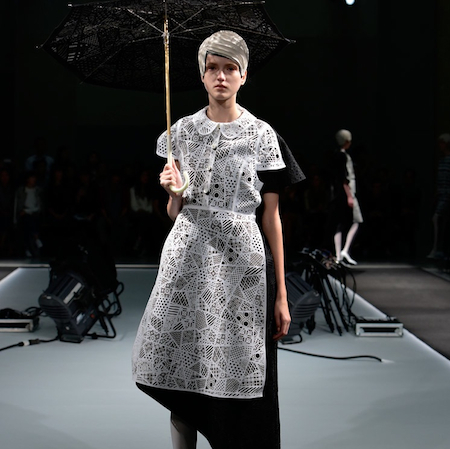 Anrealage by Kunihiko Morinaga debuted its collection on the opening day of Paris Fashion Week. 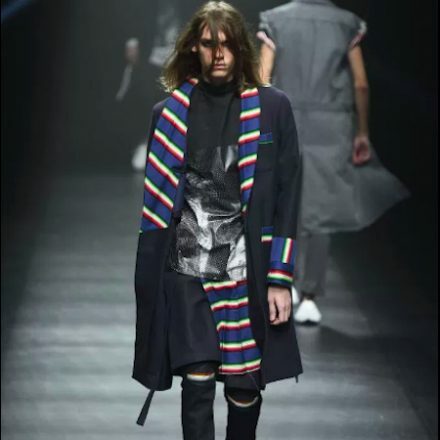 Setting up a runway gimmick, the collection called “Shadow” made its mark that involved burning designs onto clothes the models wearing during the show. 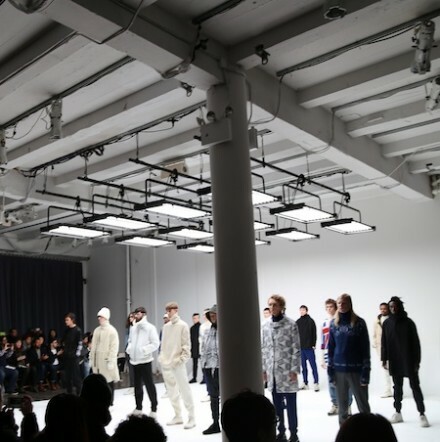 Tatsuya Kimura and Sanae Yoshida presented DISCOVERED Spring/Summer 2018 Collection. 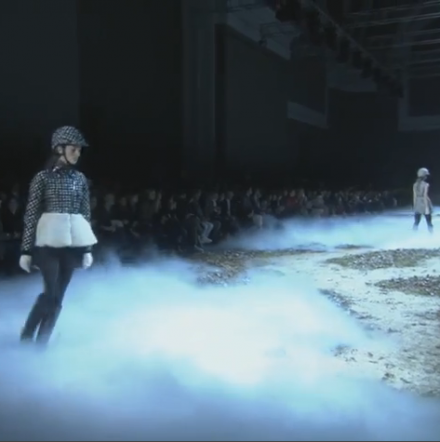 Setting up a country hillside in winter, Giambattista Valli presented hunting style outdoor wear with helmets. 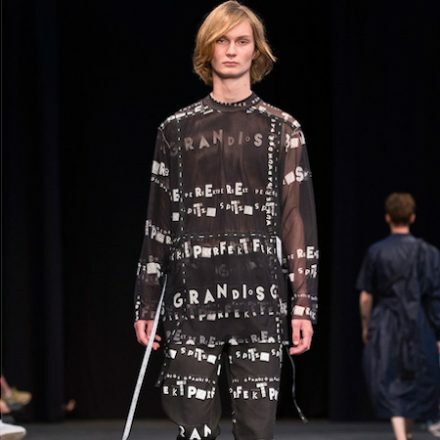 Verena Schepperheyn Spring/Summer 2018 collection features texts as design element.